Have you ever asked yourself why do we find one place more appealing and not comfy in another? Why is one product more attractive over others? The reason is Color it accounts for 60 percent of our response to an object or a place. 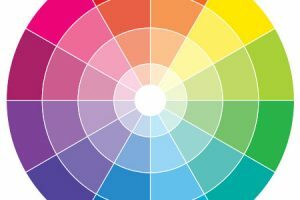 The “buzz” about color is usually called “color psychology.” But the effects of colors are subtle and very important; physical and psychological. The importance of color is often underestimated. Color use is very important to us personally in our homes and work places. Most of us are not sure where to begin with color, experiment in a guest toilet or bathroom, a small area between rooms, or a possible feature wall. When doing your own painting, pick an area that can be completed quickly so you can see your results sooner, and be happy with it or change it. This process is an adventure. When choosing a color, consider the feel of a room. In your bedroom do you want the feeling to be restful and soothing or dramatic and intimate? Soft, cool colors and neutrals usually create a quieter feeling while stronger colors are used for dramatics. Do you want kid’s rooms to create an active and exciting energy or an orderly and restful feeling? Be careful not to overdo the room for your children with intensely bright hues. You may not know it, but some brighter colors can lead to unrest and irritability. This helps to understand the terminology used to describe color. Feel confident by testing colors on boards or large areas of a wall. Be bold go beyond your comfort zone: Look at strong, bright colors or soft, neutrals like chocolate brown or olive green as main or accent colors. Add drama with a stronger color on the ceiling. Tinted ceilings can dramatically change the whole look of a room. Transform flat, walls (dull) into interesting and private spaces with subtle or dramatic visual texture and broken color. Mineral/metal finishes and layered colored glazes add depth. Some examples of softly reflective metals are mica, copper, pewter, bronze and, of course, antiqued silver and gold. Look at walls as planes of color, and see how they interact when viewing one next to the other in adjacent rooms. You’re in one room, but you’re going to see a piece of another room through it. So as you’re choosing colors, consider how they will flow from room to room to create the perfect picture. A color wheel is a great tool for changing and intensifying two or more colors. E.g., red and green, which are complementary (opposite) colors, are most intense when used together. You will be surprised at how many combinations function very well together, and you may even become decide on an entirely new color palettes. The color wheel also illustrates the visual temperature of a color. Draw a line from the yellow-green mark on the color wheel all the way down to the red-violet; you’ll see that all the colors on the left are warm and the colors on the right are cool. A single color used on walls and trim takes on new significance when applied in different finishes. For example, wall and trim colors can remain the same hue, but use an eggshell (matte and less reflective) finish on walls and a satin or semi gloss on trim. The color will appear slightly different on each surface. It’s a good way to create a cohesive look in rooms with many windows and doors, and relatively little wall area. We wish you all happy decorating, and a fantastic 2017 from all of us at Maispa.